My dilemma of how to finish off a basket of less-than-flavorful plums turned out to be good fortune in disguise. 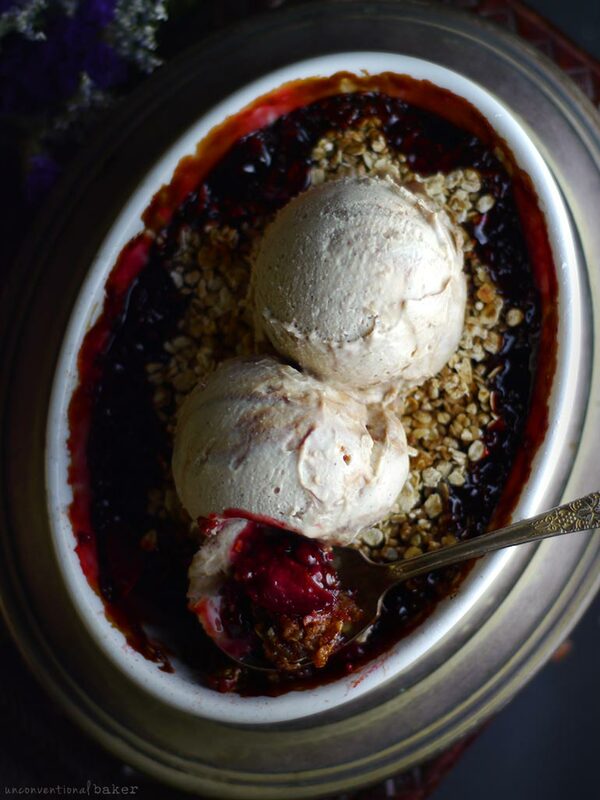 What started as mediocre-tasting fruit quickly transformed into the most delicious plum crumble, among other things. This is a quaint, simple dessert, and yet these “homey” recipes always get the best of me… (especially when you throw ice cream into the mix). Of course you don’t have to use flavorless plums. Full-flavored ones would be even better. And you can use different stone fruit as well — cherries or peaches? Excellent choice. Just grab whatever is available / in season. I must say though, something about plums + balsamic vinegar really works… that extra kick imparted by the balsamic vinegar gives an ever-so-slight edge to this otherwise simple, classic recipe. 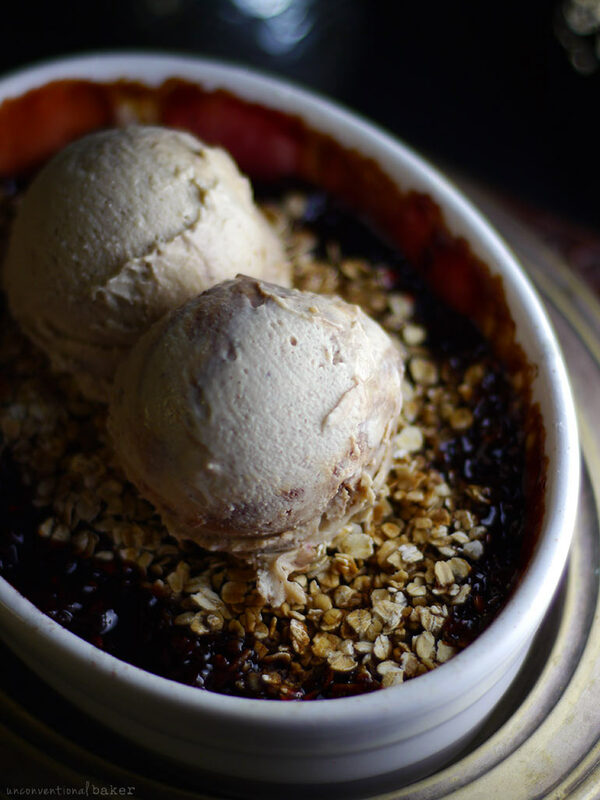 Now if you’re a baked crumble purist, I’ll admit I really hesitated to call this dish a crumble… because I lazied out entirely and instead of making a crumble topping just used quick oats. Let’s call it a shortcut crumble for the time impaired. Turned out absolutely lovely nonetheless — much of the oats absorbed the delicious flavor of the plum sauce while cooking, while others became crispy in just the right way. If you prefer a grain / oat-free option, just sprinkle with some nuts instead… But the oats keep the recipe light and cozy. As for the ice cream. That was an improvised last minute addition that turned out to be a keeper for the dish. 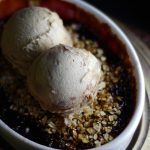 It just rounds off all the flavors in the bake and adds a comforting creaminess… I used this Vanilla & Salted Caramel Ice Cream since that’s what I had on hand. But a simple banana ice cream would be lovely too, or anything vanilla.. Even some coconut whip would do the trick. 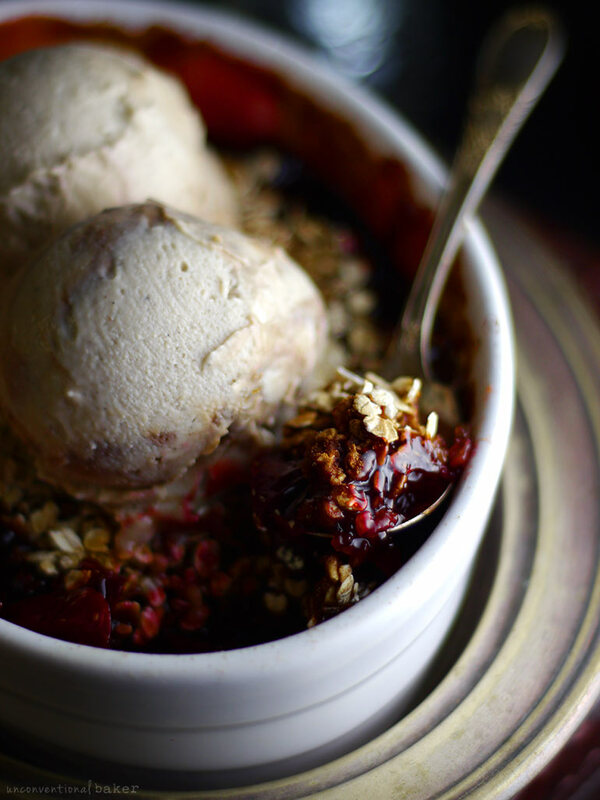 Cozy, juicy plum crumble recipe made with gluten-free oats and vegan ice cream. 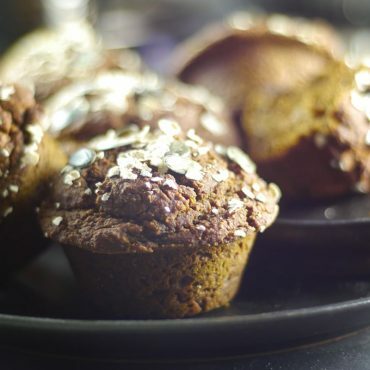 Perfect autumn/ winter recipe, refined sugar-free. Pre-heat oven to 350F. Lightly oil a small baking dish (I used a medium-sized ceramic 22 oz / 3 cups oval baking dish, but anything of a similar size will do). Place all plum base ingredients in the baking dish and toss / stir around to combine (make sure the dish is not filled to the top — you need a good 1″ clearance to the top in there because the mixture will rise and then drop back down as it cooks, so don’t over-fill). Sprinkle evenly with the quick oats. Drizzle the additional maple syrup on top of the oats. 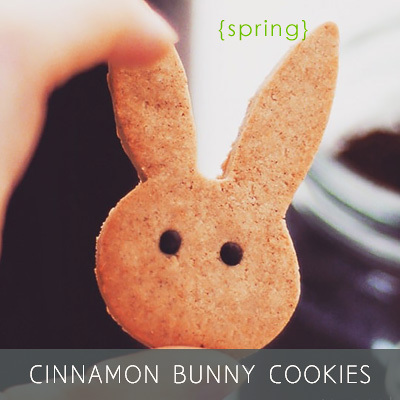 Sprinkle with some cinnamon (optional). Bake in a pre-heated oven for 1 hour. Remove and allow the crumble to cool off a bit (or a lot of you like it cold). Top with an ice cream of your choice (see notes above recipe for ice cream recipe recommendations) and serve. Enjoy! Hi Linda. Sorry it didn’t work out for you, but thanks for sharing. Can I ask, did you modify anything at all in the recipe (ingredients, oven temperature, baking time, etc.)? It’s strange that the topping would come out so dry :/ Did the oats get burned by chance? Ok, you’re a genius. I made this with apples instead (I had some that needed using) and put lots of cinnamon in the apple mixture. The maple syrup and tapioca flour with the juices from the apples combined to make an amazing almost caramel-like goo! So simple but so delicious. Ooooh, that sounds delicious! 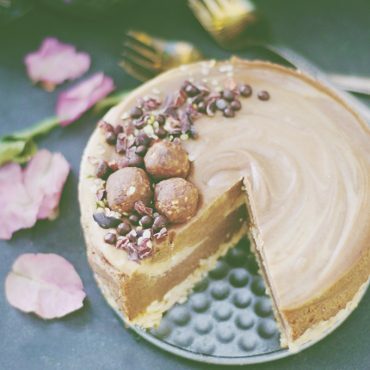 Thank you so much for sharing, Phoebe, and I’m so happy you liked this recipe. I’ve been swapping out different fruit as well, but haven’t tried apples yet. No, I LOVE LOVE LOVE plums! They’re one of my absolute favorite fruits! :D Anyways, this plum crumble looks so delicious. I love that you’ve made it look like such a masterpiece! Thanks so much — your comments are always super sweet, Cassie. Appreciate it :) And LOVE a good plum too! Thanks so much, Anna. The tasteless plums ended up being sensational in quite a number of things — and to think I was ready to toss them at first ?? Hehe. Thanks so much, Mila. I think I may have done that ? Well now! 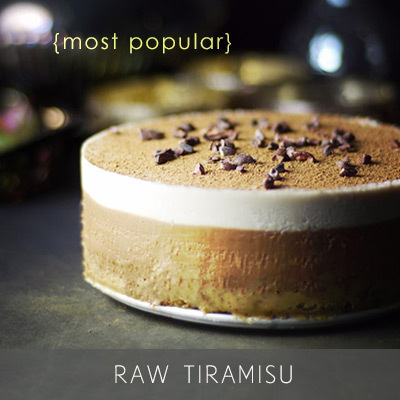 My weekend to do list will include this along with the vanilla salted caramel ice cream! Plums are my favorite! 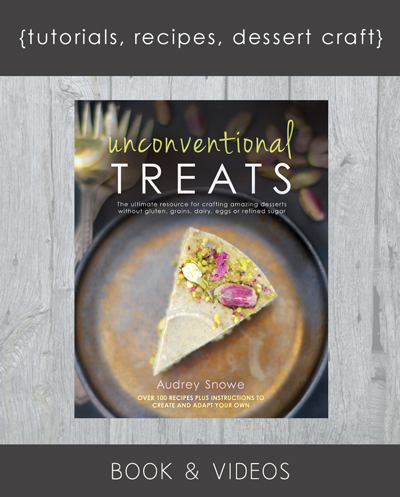 Thank you so very much for sharing your recipes with us! 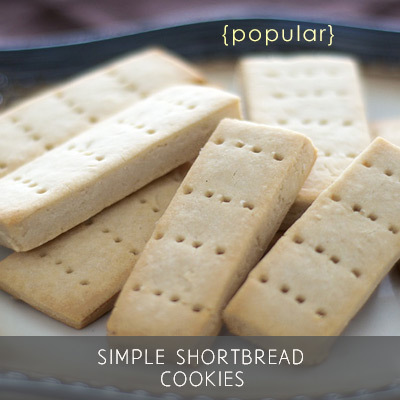 I have tons of recipes to try but yours are very inviting because of the simplicity. Thanks Piper :) Happy baking then! Mmmm, you are giving me a reason to pantry search for that bottle of balsamic vinegar I rarely use. Ice cream + fruit is a very good motivator for me! 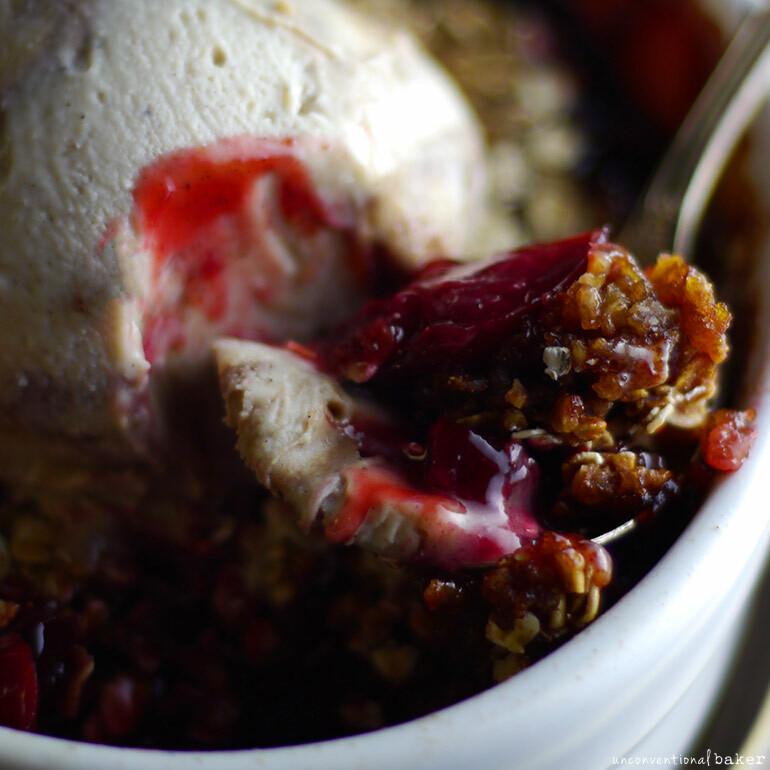 I love maple syrup + oats as a “streusel” or “crumble” topping too. Considering the original of both are very butter heavy, you are right probably not traditional in any way :D But delicious! Nice cream would be wonderful here I’m sure, but that vanilla and salted caramel on top of juicy sweet baked fruit was divine I am sure! What a great idea – I’ve never thought to put balsamic vinegar into crumbles or similar! It’s so good. Even just adding a touch to baked fruit adds a lot of dimension to a dish.